Both things are worth celebrating. 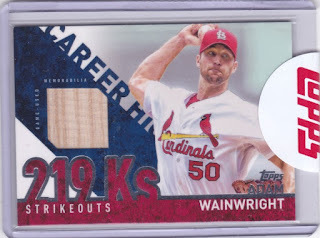 Since roughly 7% of all Cards on Cards posts are about Night Owl Cards bubble mailers, now that I've got your attention after talking about prizes and stuff -- look at these cards from Night Owl Cards! 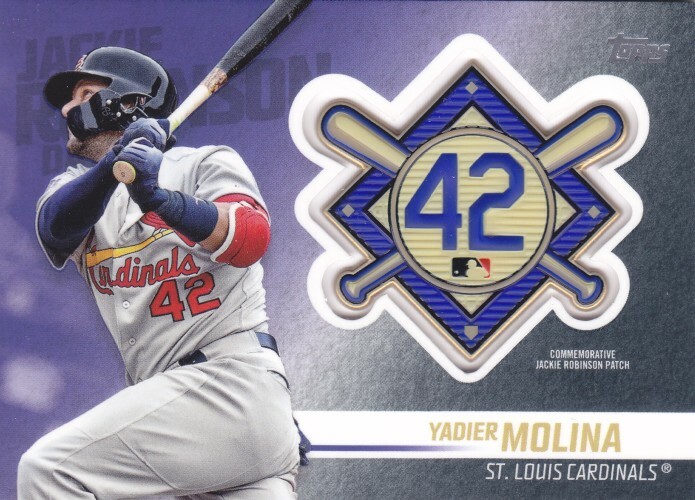 I received a bundle of all-Cardinals goodies longer ago than I care to admit publicly, so let's check out a few of them. 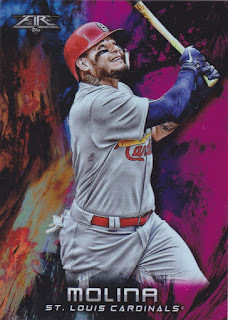 Panini's version of Donruss has its own version of Chrome, which has been around for a couple of years now. It's called Optic. They then parallel the heck out of everything, and end up running out of usable colors, which is how you end up with something like a "Red and Yellow" Prizm parallel. 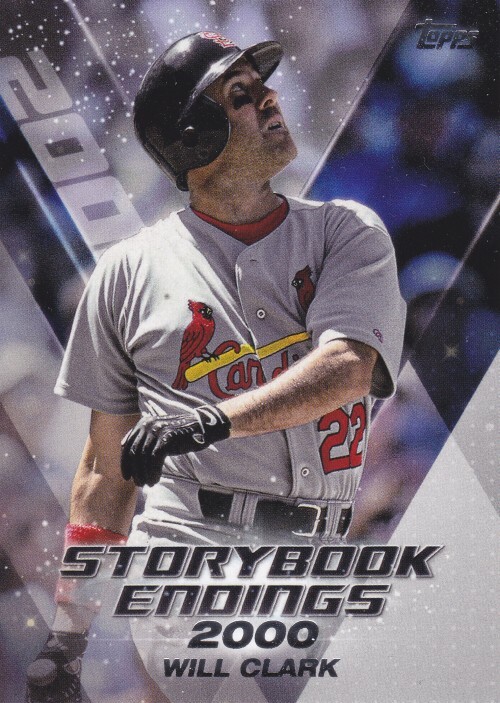 I completely forgot there were Will Clark Cardinals cards in 2018, so this was a nice surprise. Clark has way more Cardinals cards than you would expect, but then again, so does Eric Davis. I have said my share of negative things about Topps Fire, but when you're presented with a shiny Yadi like this that's numbered to just 25 copies, it's hard to say anything critical. This is a really nice addition to my collection, and is fun to stare at under direct light. Hey, it's a card back! 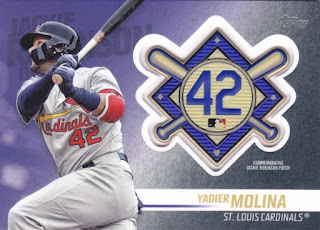 Topps used to sell blister pack All-Star sets, but at some point removed the All-Star designation (and logos), making the set this card came from more like "2018 Topps A Bunch of Good Players in the National League". Sadly, after essentially finally completing my Cardinals want list project (all years are actually covered now! ), I realized I need far too many one-off cards from tiny sets. It was good to take this off the list. The fancy Topps sticker here means this card is UNTOUCHED BY HUMAN HANDS. My only gripe is... Waino is great with the bat, but why did they use a bat piece to honor Wainwright's career best season in striking people out. I mean, that is a piece of HIS bat, isn't it? ISN'T IT?! Thanks again to Night Owl and everyone who participated in my contest. There's another one just around the corner! I have a feeling it's going to be pretty Rad. 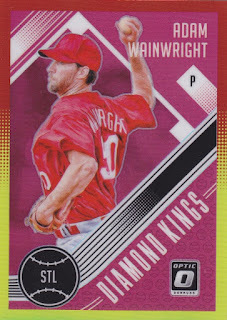 I always enjoy picking up a bat card for one of the pitchers I PC... but you're right. In this particular instance, it doesn't make sense. Then again... a lot of stuff Topps does doesn't make a whole lot of sense. I've got no idea what Topps was thinking on that Wainwright card. Gonna have to go with Topps was NOT thinking again. Hi, my name is Peter Lugo, I am a newcomer to your website, and entered your recent Bowl Game contest (3rd place). I don't know how to contact you, to give you my mailing address. 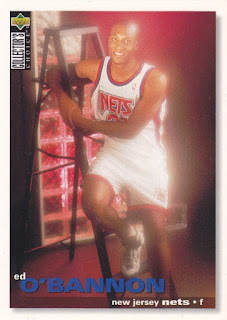 I have been an avid sports cards collector since the early 70s and have 1000s. My favorite NL team is the STL CARDINALS, as 2 individuals hailed from my hometown of AZUSA, Can ( John Littlefield and Jack Clark). 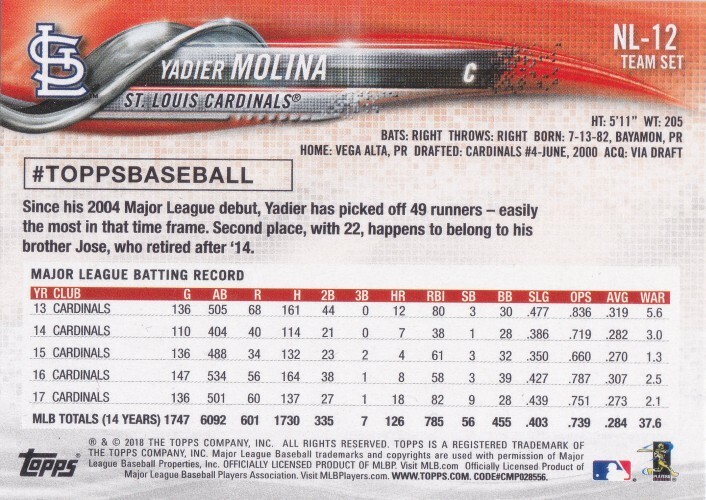 I have plenty of cards others might need, as I stated I have 1000s, and I collected every STL CARDINAL I encountered. Plz contact me. AZUSA, CA is the city , not AZUSA, CAN. It was a typo. 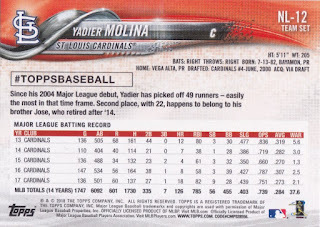 Peter- I'm definitely interested in trading Cardinals for Cardinals, as I always have tons and tons of extras that I don't need. My email address should be available by clicking on my username, under "Contact Me". I redeemed a dual David Wright / Tom Seaver relic card a couple of years ago. It arrived from Topps just like the Wainright card, untouched by human hands. Under the Wright picture was a nice uniform swatch; under the Seaver picture was...a bat piece. Topps being Topps I guess. 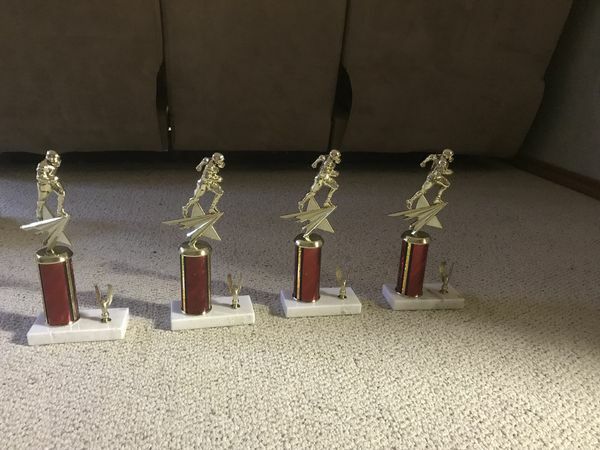 I just recently realized a full set of Silver Slugger Award cards would include one Pitcher each year. I am keeping those for my Pithcers Hit, Too collection. Glad to know of another one. The cards for the other 8 positions just go in the random inserts box, before this Eureka! on my part.